dotdigital, the leading marketing automation platform, partner with GGR Communications to upgrade their network infrastructure from 1GB to 10GB with lightning speed and minimal down time. 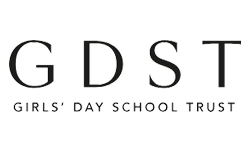 A unique family of 23 schools and 2 academies across England and Wales and with more than 19,000 pupils and 3,500 staff, GGR are delighted to be continuing our 7-year partnership, providing their Wi-Fi and LAN infrastructure, and a managed UC service across all 41 sites. GGR provides critical infrastructure and technology across all 15 racecourses, giving them flawless and secure wireless coverage, with seamless scalability and complete visibility for in-depth reporting and monitoring. The 30-partner, 6-site law firm have an MPLS network solution installed and managed by GGR, providing secure site to site connectivity and increased internet bandwidth. Partners for more than 12 years and proud to be supporting their future cloud strategy. For a phenomenal 20 years, GGR have provided the Anglian Group with a fully managed service with 24/7 support, wireless, LAN and WAN in multiple locations across the whole of the UK. 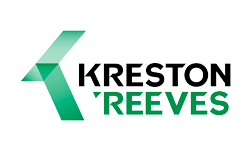 With 9 offices across the UK and more than 500 employees, financial services firm Kreston Reeves partnered with GGR Communications more than six years ago to provide a fully managed wireless network infrastructure and UC service across all sites. With a partnership of more than 17 years, Kinnerton, Britain’s largest independent manufacturer of confectionery, enjoys a future-proof network infrastructure, across multiple sites, all fully managed by GGR. With a capacity of more than 27,000 and technology playing an increasingly important role within the football club, NCFC chose GGR some seven years ago as their solution provider adding another dimension to the fans’ experience and supporting the commercial side of the organisation. Offering more than 12 financial services and serving more than 10,000 clients across East Anglia, Lovewell Blake required a network that would grow with their business. They chose GGR 8 years ago to provide a bespoke MPLS solution increasing bandwidth and enhancing network functionality. A resilient network solution for a leading, global manufacturer was required. GGR implemented a managed MPLS WAN connecting all of the sites into the Head Office using best-in-class Cisco hardware. With more than 1,500 fixtures running 364 days a year, the governing and regulatory body for horseracing in Great Britain, the BHA, chose GGR to provide them with a complete turnkey solution for perimeter security with a remote access solution, giving them complete network visibility and an easy-to-use monitoring system.